The homebuying process can be stressful, but with Lennar and Pacesetter Homes at Orchard Ridge, you have nothing to worry about. These award-winning builders focus on quality and integrity in each and every home they build, so you can have peace of mind in your purchase. 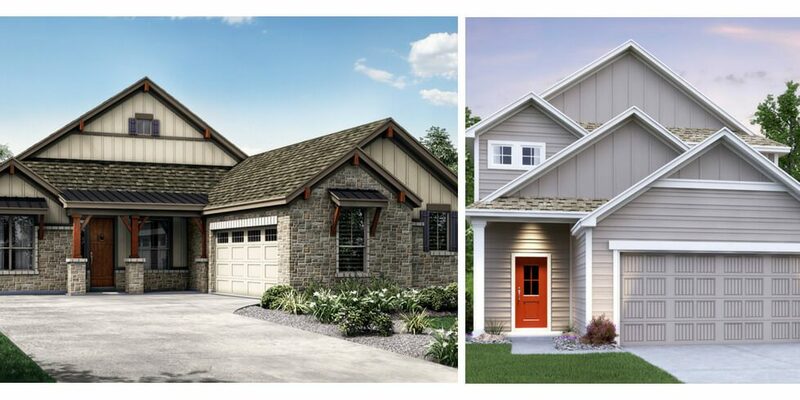 Pacesetter Homes offers 15 different floor plans at Orchard Ridge, with both one- and two-story options available. Starting from the mid $200,000s, homes range in size from 1,668 square feet with three to four bedrooms and two to three bathrooms, plus an optional game room. Pacesetter Homes’ Design Q, a VIP-style design center experience, makes choosing finishes a breeze. One of their Interior Design Specialists will guide you through the entire process and assist you in choosing from their huge selection of cabinets, flooring, lighting, faucets and more. Then they display it all together so you can revisit any of your choices if you’d like. Lennar offers seven different floor plans at Orchard Ridge that range in size from 1,242 to 2,348 square feet, featuring three to four bedrooms and two to three bathrooms. With prices starting from the low $200,000s and plenty of options for personalization, there’s sure to be a home that’s perfect for your family. One of the many ways Lennar is taking the stress out of purchasing a home is through their Everything’s Included® approach. Stainless steel appliances, upgraded bath fixtures, granite or quartz counters, tile or hardwood floors, and even energy efficient features like programmable thermostats and ENERGY STAR® washer and dryer units are just a few of the things you can find standard in Lennar homes. Interested in learning more about the homes at Orchard Ridge? Schedule a tour of our community, and make sure to join the Interest List to always stay up-to-date on Orchard Ridge news.